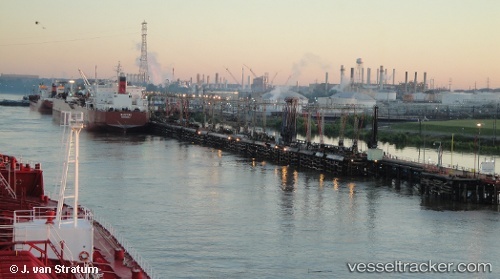 On April 7, the first vessel sailed away from Drax Biomass’ Baton Rouge port facilities to the Port of Tyne located on the U.K.’s East Coast. The MV TBC Princess was loaded with pellets from Drax Biomass’ southern pellet mills for power generation. Drax Biomass spent about 15 months building the port facilities to handle and ship pellets from the company’s two 450,000 metric-ton-per-year plants; Amite BioEnergy in Gloster, Mississippi, and Morehouse BioEnergy in Morehouse Parish, Louisiana, as well as pellets from suppliers other than Drax. These facilities have amounted to an overall investment of a $350 million for the company, and are expected to put 200 people to work by 2016. Tenaska NG Fuels, LLC and Waller Marine, Inc. have announced an agreement to develop, construct, own and operate Louisiana’s first natural gas liquefaction and fueling facility along the New Orleans-Baton Rouge Mississippi River corridor with access to the Gulf of Mexico. Located on approximately 80 acres at the Port of Greater Baton Rouge, Tenaska Bayou LNG will provide liquefied natural gas (LNG) and compressed natural gas (CNG) as alternative clean-burning fuels for the high-horsepower marine, transportation, and natural gas and oil exploration and production industries in the region.